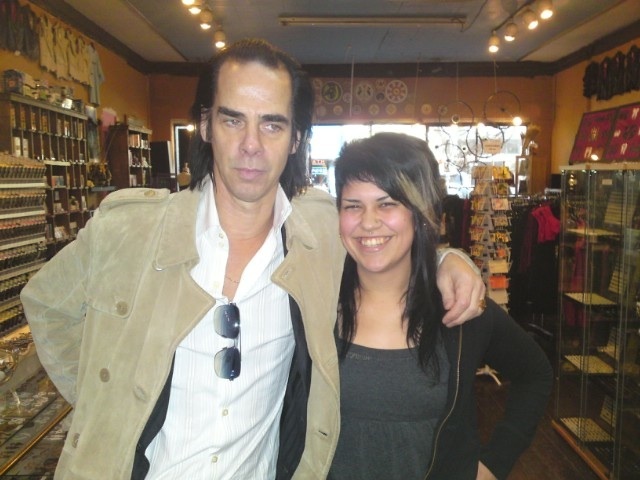 Our new friend Nick Cave stopped by for some gift shopping before his show. Although he does not look incredibly excited in this photo I can assure you that he was just as excited to meet us as we were to meet him. I think.